Yoheved Kaplinsky began her musical career as a prize-winner of the J.S. Bach International Competition in Washington, D.C. A native of Israel, she studied with Ilona Vincze at the Tel-Aviv Rubin Music Academy before entering New York’s Juilliard School of Music as a scholarship student of Irwin Freundlich. She received her Doctorate at Juilliard, as well as awards for scholastic and pianistic achievements. Subsequently, she studied with Dorothy Taubman in New York. Ms. Kaplinsky has appeared throughout the USA in recitals and chamber music and as a soloist with leading orchestras. Noted for her insight and understanding of piano technique, she has also been in great demand for lectures and master classes in the USA, Israel and the Far East. Since 1993 she has been the chairperson of Juilliard’s piano faculty. She also instructs at various festivals. She frequently serves as juror of various competitions throughout the USA and other countries. 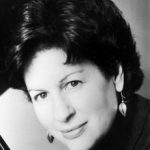 Ms. Kaplinsky served on the jury of the three previous Arthur Rubinstein International Piano Master Competitions.